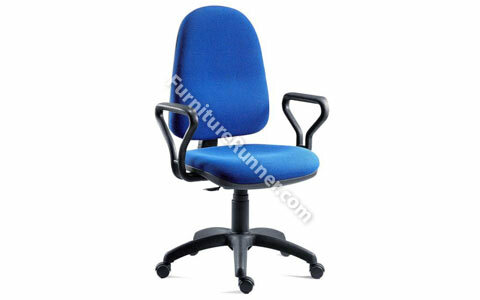 High back operator chair with gas seat height adjustment and rake adjustable backrest. Accepts optional armrests. N.B. not suitable for heavy duty commercial use. • High back operator chair • Floating or fixed permanent contact backrest • Gas lift seat height adjustment • Generous seat size • Accepts optional armrests • Requires easy self assembly.